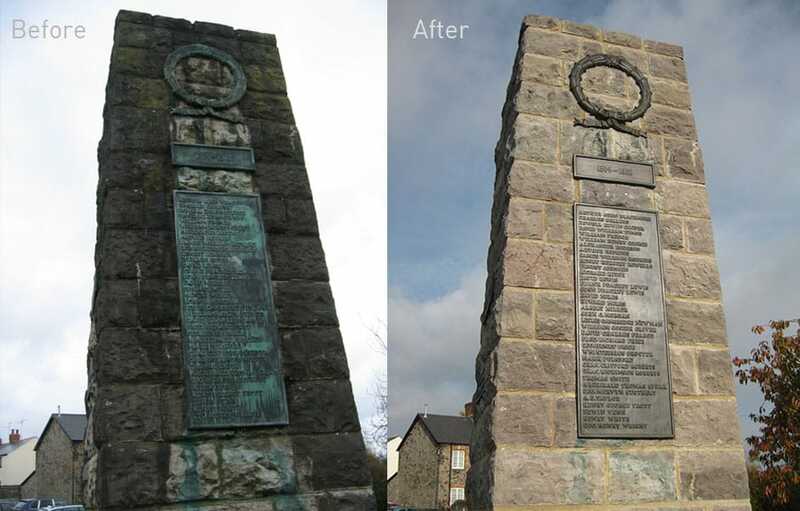 The restoration of the Dinas Powys War memorial, in The Vale Of Glamorgan, was undertaken in October 2010 in time for Remembrance Day. 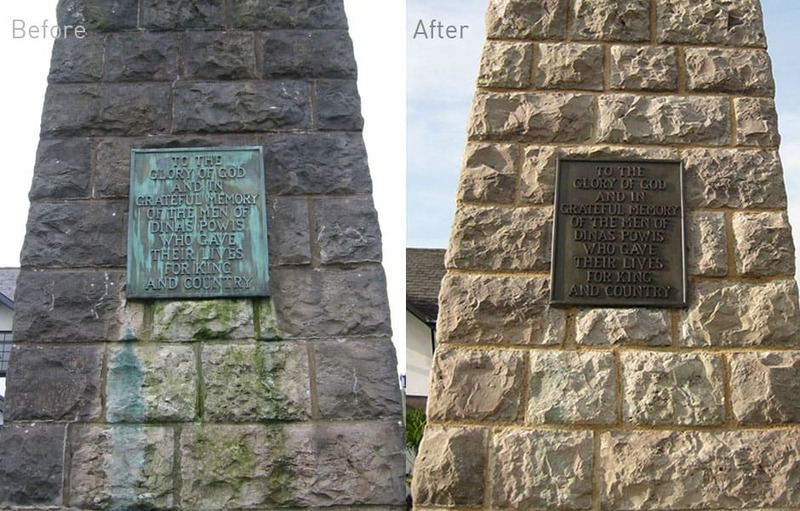 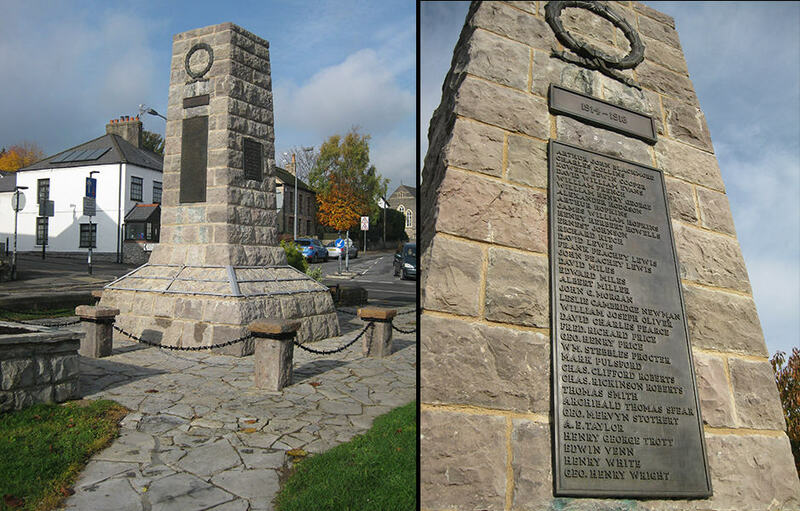 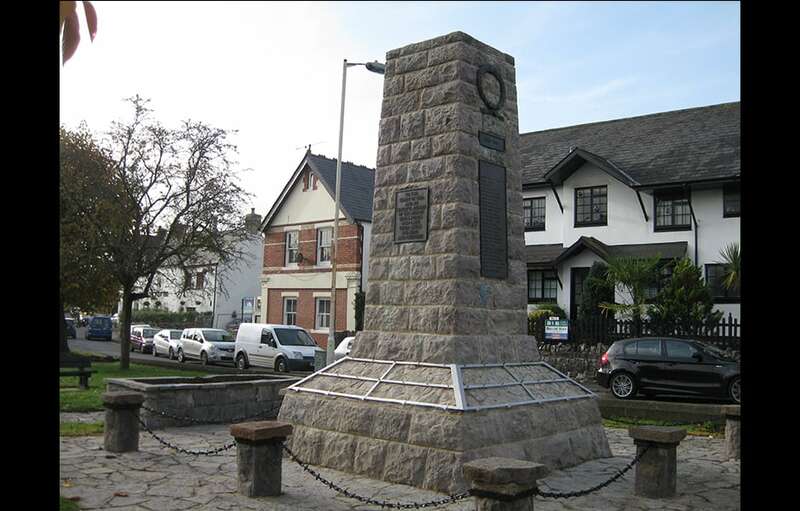 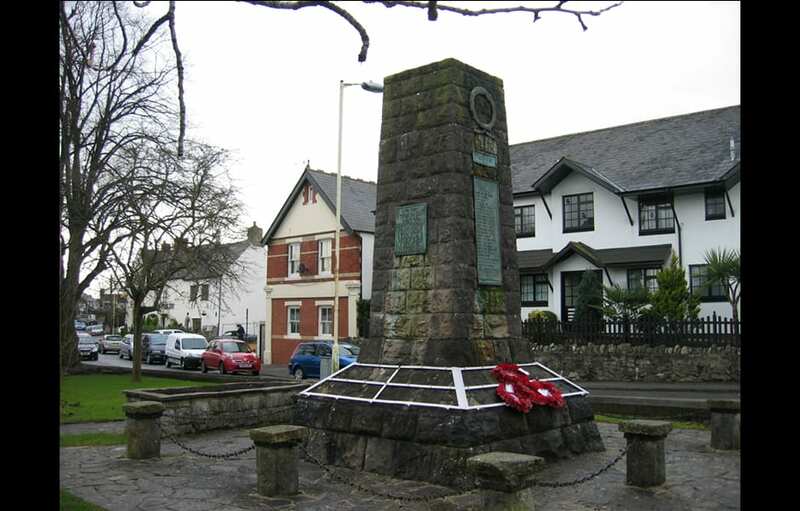 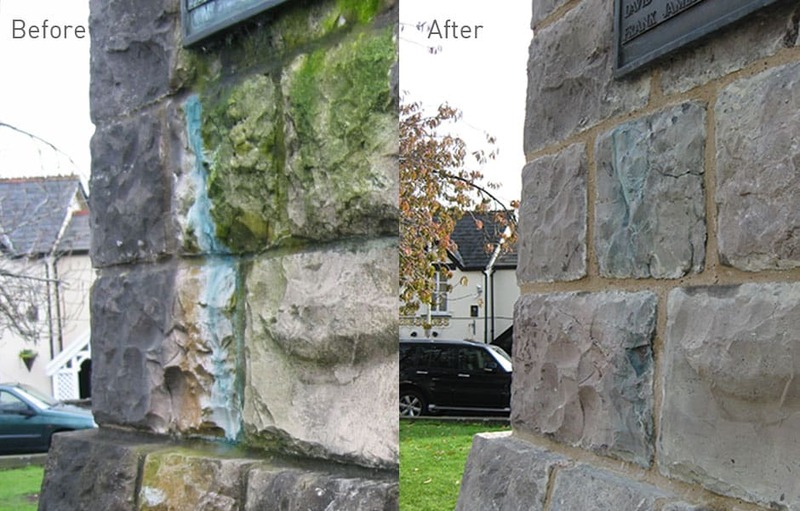 The extensive work, commissioned by Dinas Powys Community Council with assistance from War Memorials Trust and the Vale of Glamorgan Council, included extensive, professional cleaning utilising a range of specialist stone cleaning techniques including the DOFF system, removing decades of dirt, biological growths and carbon deposits. 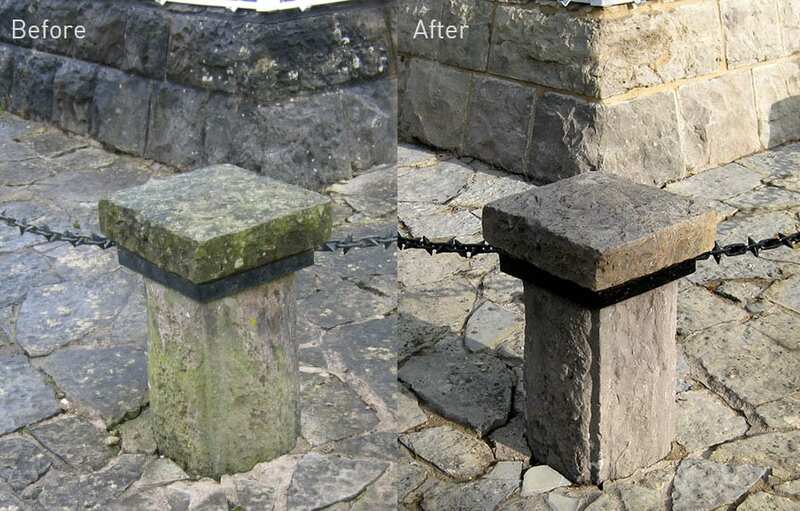 All of the joints were extensively raked out and cleaned before repointing with a specially colour toned natural hydraulic lime mortar. 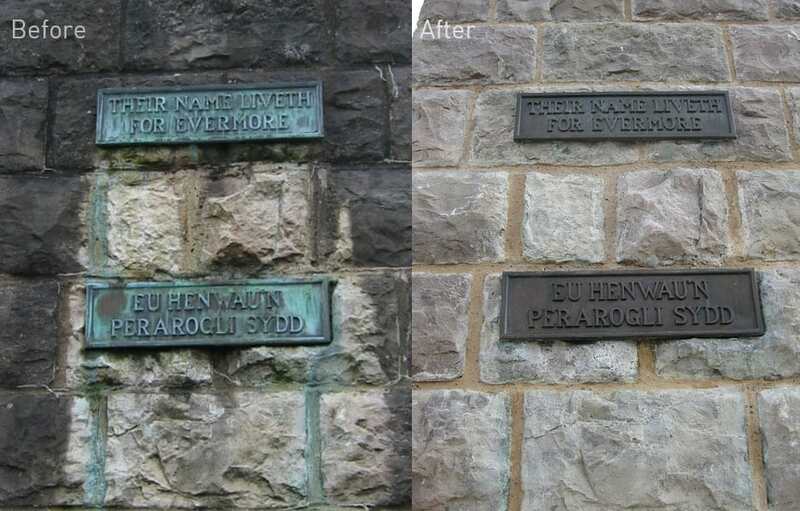 The cast bronze plaques were delicately cleaned to remove surface dirt prior to re-sealing with a specialist Renaissance Wax coating specially developed with the British Museum to help preserve and protect important and ancient bronze works in external conditions. 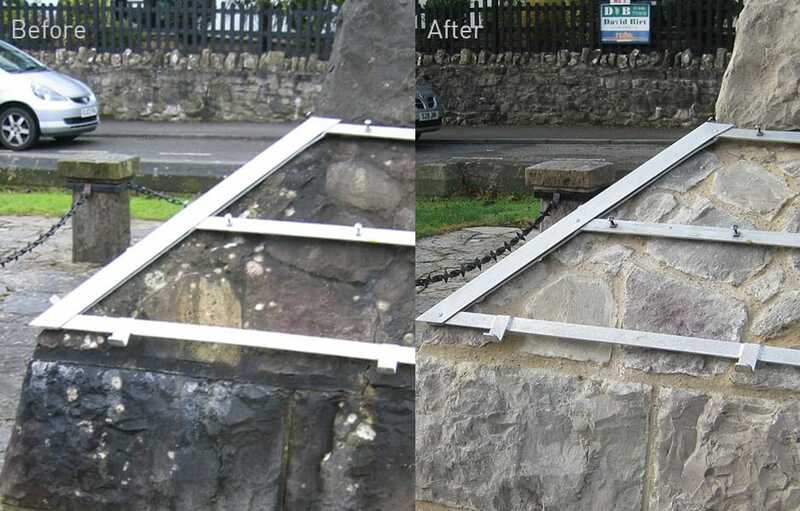 The extensive works were completed on schedule, on budget and to extensive public praise.